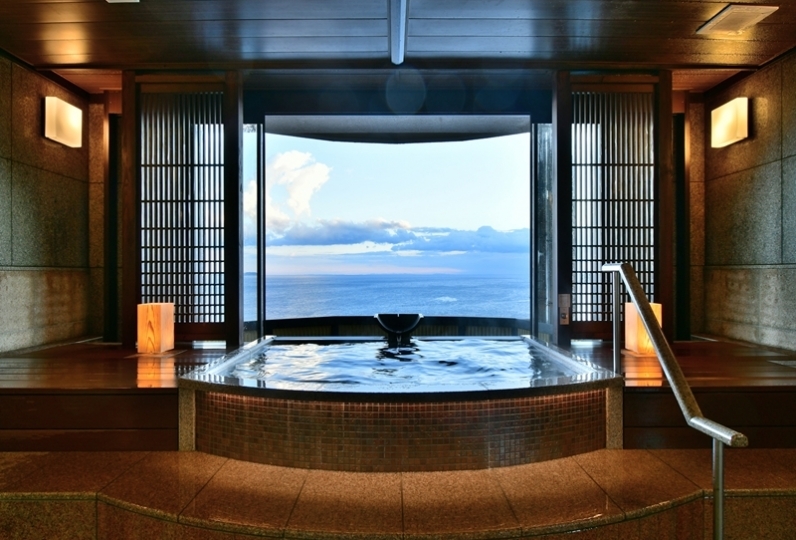 A classic hotel established in 1936, Kawana Hotel has welcomed many customers both in Japan and abroad, including celebrities. The moment you step foot on the grounds, you'll feel like you've gone back in time. This long beloved resort hotel has scenic landscape and mild climate. The view of the azure sky and cobalt blue waves from the observation deck is exceptionally spectacular. The 60,000 square meter beautiful green grounds spread out before you and on sunny days you can see Izu Oshima and Mt. Fuji. In the evening enjoy the soft chandelier light in the traditionally French hotel. 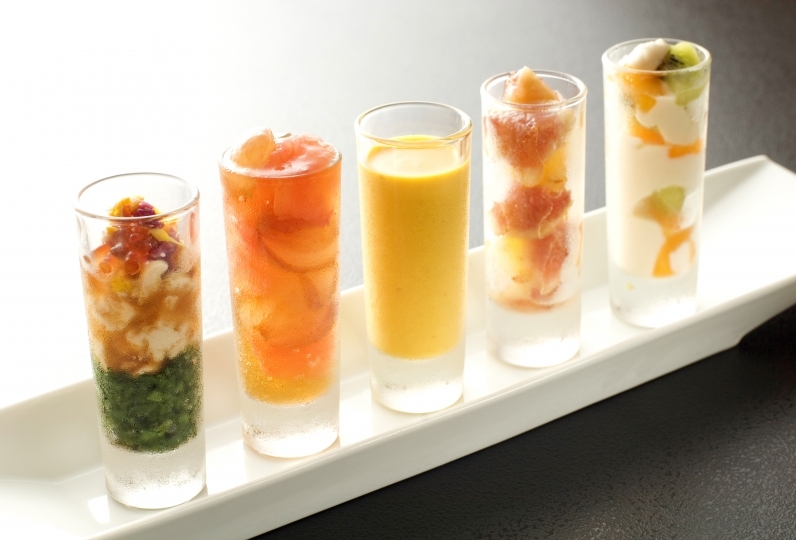 Our most popular Kawana dinner is a course that is our pride and joy; utilizing carefully selected ingredients, original sauces, and homemade herbs. Why not relax and rejuvenate yourself in a resort hotel with a feeling of tradition and nature? I was surprised that ice was prepared in the room. The guidance in the hotel the next day was also a very pleasant time. I have tasted the Kawana hotel every day on a dish I bought. When I saw the exterior of the hotel on the car side, it was the first impression that was not a big deal, but the exterior from the sea side was a different one. And we enjoyed tradition and formality in interior decoration, service, meal, hot spring and all aspects. It is truly. I also want to go there again. Thank you very much, but thank you very much for your kind support at the front desk. The room was clean and comfortable to use. There were few staffs, too, but there was also a little disappointing part that I could not order easily at the restaurant, but is there a limited set lodging? Thank you for listening to your selfishness in this and changing parts. Aroma massage was really pleasant. I thought that I wanted to use even spa alone! I will go again. 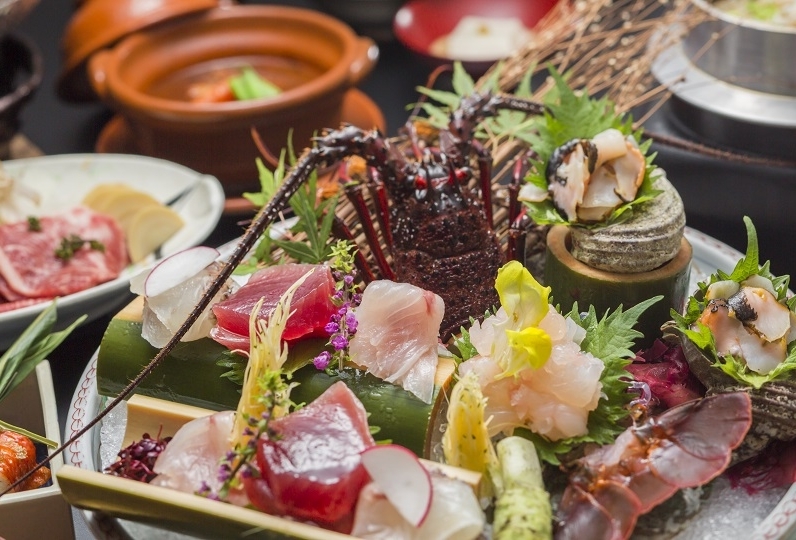 Handmade, source, and service are a few things that Kawana Hotel considers for it's cuisine. Have a dinner that showcases the chef's skills in the chandeliers' soft lights. You can also enjoy lunch and breakfast while watching the waves roll in. ※Breakfast hours are subject to change. 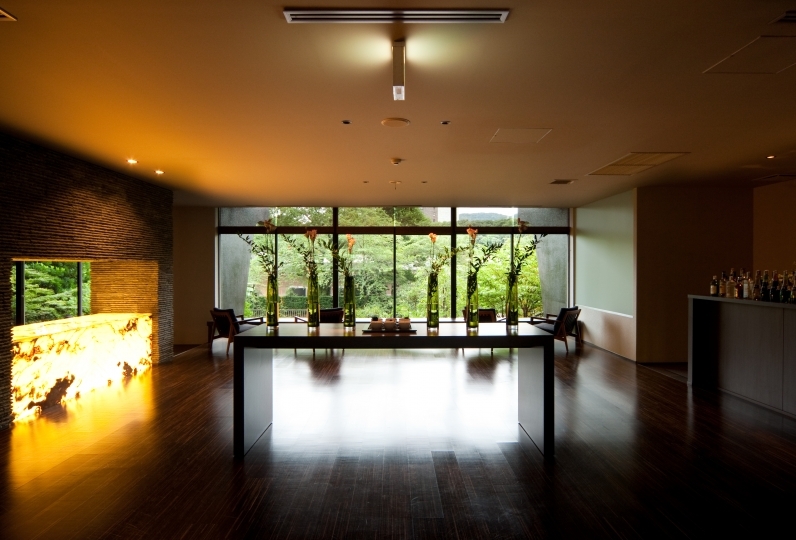 Serves tempura and hot pots at a annex building, a traditional style countryside house built over 300 years ago. A tea room with large glass windows and a view of the sea. Our hotel-made cake is especially popular. A bar where time stops and you can relax. Hot Spring Facility Brisa Marina ※ Which means sea breeze in Spanish. 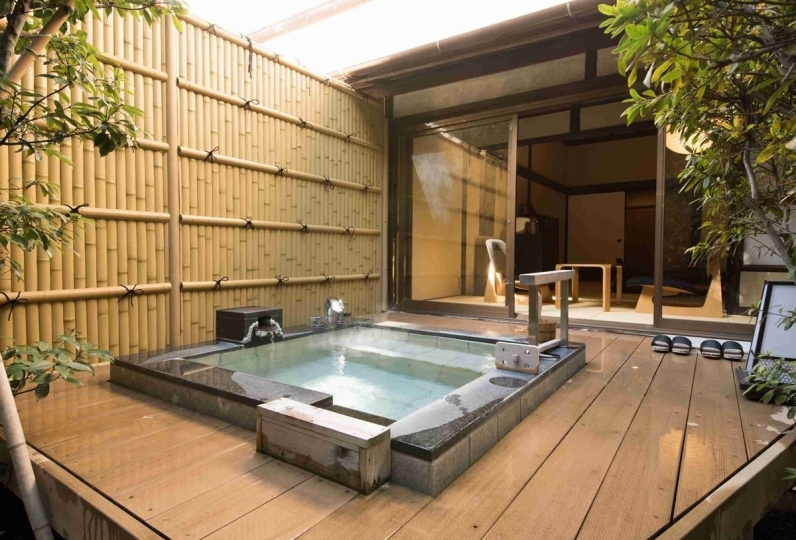 A multifunctional hot spring facility with not only an open air bath, but a private bath, a relaxation room and more. ※ The open time will be the same as the sunrise. ※ Tattoos and children who are using diapers are strictly prohibited from using the facilities. ※ You can wear the slippers and room wear in your room and in the Brisa Marina. ※ Please only wear your yukata in your room. ※ Benefits: neuralgia, muscle pain, joint pain, stiff shoulders, paralysis, joint stiffness, etc. ※Since there are only a few taxis at Kawana Station, we recommend take a cab from Ito Station.